Four Channels at once. You Pick. 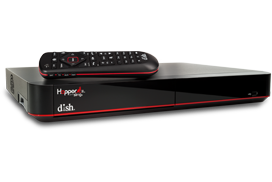 Pull up the Hopper’s customizable MultiView mode to create your own HD sports bar or keep an eye on the weather, the news and the game all while watching your favorite sitcom. Access your Netflix account directly from the Hopper DVR. Plus access dozens of your favorite apps like Pandora, Vevo, Weather, YouTube (Coming Soon) and more. Best Hopper Yet. Awesome Interface. Channel surf and access your favorite content at lightning speed. Our new look is an intuitive and simple TV viewing experience with you in mind.